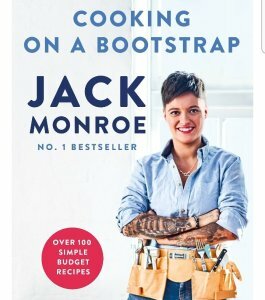 The second recipe book from best-selling food writer, Jack Monroe. Jack Monroe’s tasty and resourceful recipes from her well-loved blog have propelled her into the spotlight during the past year. 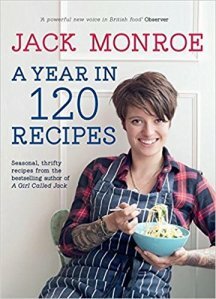 Her first cookbook, A Girl Called Jack, was an immediate success, and confirmed her reputation as an energetic new culinary talent. In A Year in 120 Recipes, Jack gives us a full year of inspiring new recipes. Making the most of seasonal produce, yet with her trademark budget approach, Jack’s second cookbook is just as creative and fresh as her first. With 120 recipes in full-colour photography, these include a substantial Baba Gosht, Burned Brown Sugar Meringues, Lazarus Pesto, and a moreish Peanut Butter Bread. Whether you’re cooking for a summertime party, or a warming weekday meal, A Year in 120 Recipes gives us affordable recipes for every occasion. 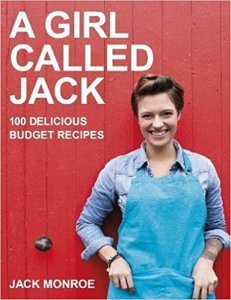 Jack was awarded the 2013 Fortnum and Mason Judges’ Choice Award for the impact that her blog, A Girl Called Jack, has had. She is now a well-known campaigner against hunger and poverty in the UK, a journalist and weekly recipe columnist for the Guardian. A book full of inspiration! Thanks to my mum for buying a copy for me and thanks to Jack for writing it!